"We found that for 3- and 4-month-old infants, non-human primate vocalizations promoted object categorization, mirroring exactly the effects of human speech, but that by six months, non-human primate vocalizations no longer had this effect -- the link to cognition had been tuned specifically to human language," Ferry said. Furthermore, the researchers found that infants' response to non-human primate vocalizations at three and four months was not just due to the sounds' acoustic complexity, as infants who heard backward human speech segments failed to form object categories at any age. 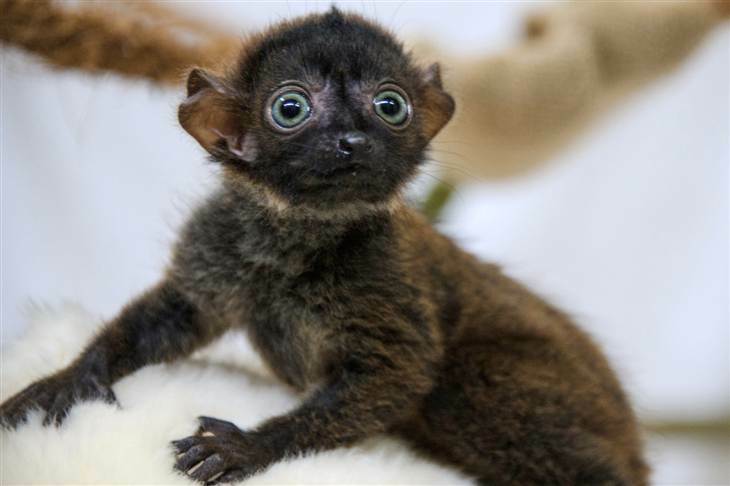 Susan Hespos, co-author and associate professor of psychology at Northwestern said, "For me, the most stunning aspect of these findings is that an unfamiliar sound like a lemur call confers precisely the same effect as human language for 3- and 4-month-old infants. More broadly, this finding implies that the origins of the link between language and categorization cannot be derived from learning alone." "These results reveal that the link between language and object categories, evident as early as three months, derives from a broader template that initially encompasses vocalizations of human and non-human primates and is rapidly tuned specifically to human vocalizations," said Sandra Waxman, co-author and Louis W. Menk Professor of Psychology at Northwestern. Waxman said these new results open the door to new research questions. "Is this link sufficiently broad to include vocalizations beyond those of our closest genealogical cousins," asks Waxman, "or is it restricted to primates, whose vocalizations may be perceptually just close enough to our own to serve as early candidates for the platform on which human language is launched?" "Non-human primate vocalizations support categorizations in very young human infants" published in the Proceedings of the National Academy of Sciences on September 3.